Dr. Lott managed significant reductions in state funding over the first four years of his administration without cutting funds to the arts. 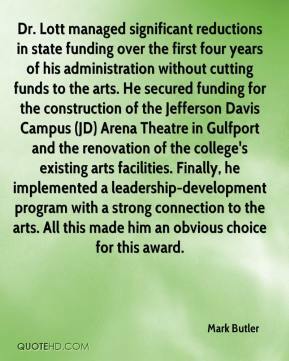 He secured funding for the construction of the Jefferson Davis Campus (JD) Arena Theatre in Gulfport and the renovation of the college's existing arts facilities. Finally, he implemented a leadership-development program with a strong connection to the arts. All this made him an obvious choice for this award. 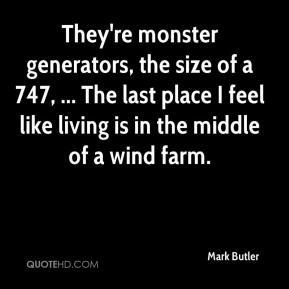 They're monster generators, the size of a 747, ... The last place I feel like living is in the middle of a wind farm. 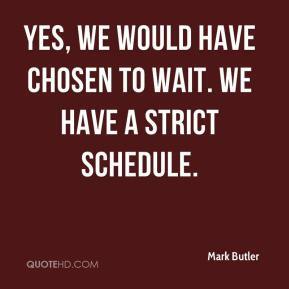 Yes, we would have chosen to wait. We have a strict schedule. 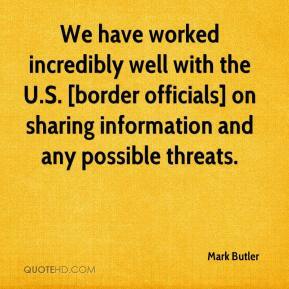 We have worked incredibly well with the U.S. [border officials] on sharing information and any possible threats. That is ridiculous. 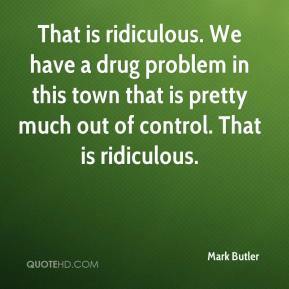 We have a drug problem in this town that is pretty much out of control. That is ridiculous. 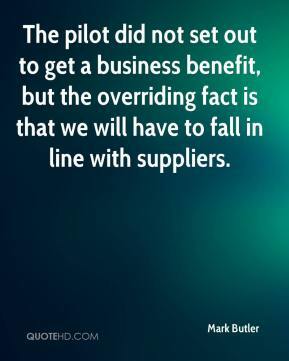 The pilot did not set out to get a business benefit, but the overriding fact is that we will have to fall in line with suppliers.